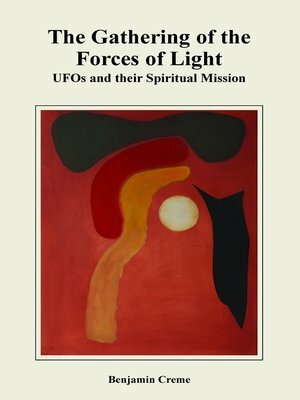 This is a book about UFOs, but with a difference. It is written by someone who has worked with them and knows about them from the inside. Benjamin Creme sees the presence of UFOs as planned and of immense value for the people of Earth. According to Creme, the UFOs and the people in them are engaged in a spiritual mission to ease humanity&apos;s lot and to save this planet from further and faster destruction. Our own planetary Hierarchy, led by Maitreya, the World Teacher, now living among us, works tirelessly with our Space Brothers and Sisters in a fraternal enterprise to restore sanity to this Earth. Creme shows how all the planets in our solar system are inhabited, but on physical levels beyond human sight, the so-called etheric planes. The spacecraft are constructed on the same principle; they too are in etheric matter and have complete control of energies in space. Our Space Brothers are responsible not only for crop circles, but also for preparing the way on Earth for a new technology of light which will give us unlimited power from the sun. When we banish war for ever and are endeavoring to live in right relationship, that technology will be ours. For the Spiritual Hierarchy of both our own and the sister planets of our system, right human relationship involves the end of competition and the beginning of an era of co-operation with — sharing, justice and freedom as its hallmarks. The book also addresses the emergence of new and more inclusive forms of education, which will be needed as we experience a huge shift in consciousness and a growing awareness of the richness of life ahead, unfettered by the stranglehold of commercialism and the dominance of market forces. According to the author, the truth will soon be apparent for all to see, awakening humanity to their own divinity and the establishment of the rule of spiritual law on Earth.